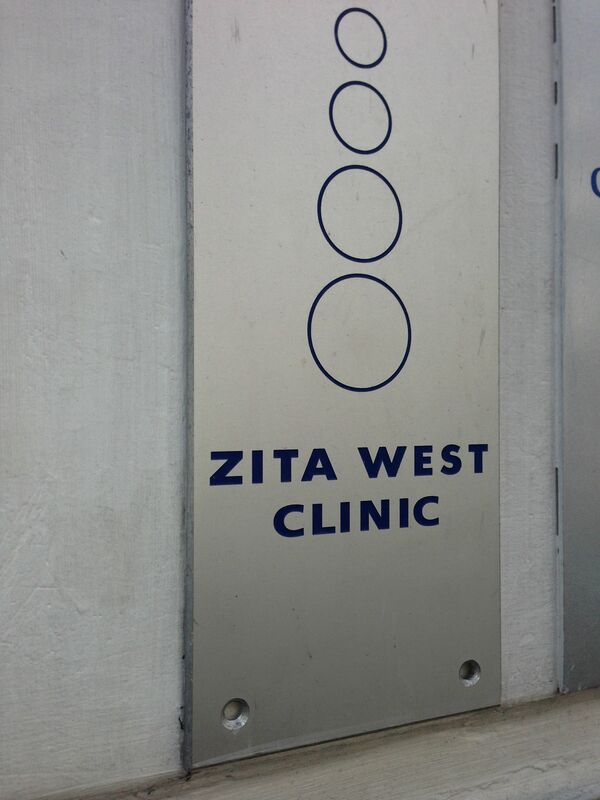 Last week I met with THE Zita West at the Zita West Clinic in London. I had responded to a shout out on her Facebook page. She was looking for a couple who would be happy to have a consultation filmed for a pilot TV show she was doing. The consultation would be free and I was lucky enough that she chose me! It was the first time I had been to the Zita West clinic, although I do take her vitamins. Zita West is known for being a specialist in preconception, assisted fertility, pregnancy and post natal support. She has written books and been on the TV, most recently the “This Morning” Fertility week. She also has a large range of products, including, vitamins, relaxation CD’s and candles. Her clinic offers all sorts of therapies, including accupunture, nutritional reviews, the list is pretty long! The clinic was very easy to find as its not far from the ARGC, where I had my last round of IVF. The clinic is lovely! It’s bright and modern inside, and smelled amazing. Her candles were burning and are very lovely. We weren’t kept waiting long and Zita herself came and met us in the waiting room. She is very petite.really well groomed and lovely! We were filmed having our consultation. Luckily I dont mind that sort of thing as I’ve done loads of public speaking in the past but I think my husband was slightly uncomfortable. Zita looked at our history and did a stomach examination on me. Her conclusion was very positive. The biggest issue she found with me is that I lack a mind/body connection. Basically, I have negative thoughts and feelings associated with my body and my reproductive area, and that I do not believe I will ever get pregnant naturally. I have no connection with my baby making parts! This negativity is due to the horrible first encounters I had with the NHS, who diagnosed me Menopausal at the age of 31. And my IVF failures. Zita also pointed out that I do not relax atall. Both myself and my husband never do anything to relax. This was all good stuff and areas of my fertility I had never considered. I can action points from her review which is brilliant. She also gave me and my husband a tonne of her fabulous vitamins, including her new one, Inositol, which supports ovarian function and I think it also aids weight loss! Bonus! Also she gave me a relaxation CD to do for 20 minutes per day. Best of all, she has booked me in to see a Hypnotherapist. I cannot wait!!! Never done anything like that before and I’m so excited. It has been a great experience and I’m blessed to have been given the opportunity to meet her. This entry was posted in Uncategorized and tagged 2WW, ARGC, baby, clinic, egg, embryo, family, fertile, fertility, FET, icsi, infertile, infertility, IVF, Mr T, natural, pregnancy, supplements, tea, trying for a baby, ttc, vitamins, zita west. Bookmark the permalink. I love ….. Coffee with baileys!